FacilitiesServices and facilities at the hotel include internet access and wireless internet access.RoomsAll rooms feature a kitchen and a bathroom. Each accommodation unit features separate bedrooms or a sofa-bed. A kitchenette equipped with a fridge and a microwave is provided as standard. An ironing set is also available to guests. Each accommodation unit offers internet access, a telephone, a TV and wireless internet access. 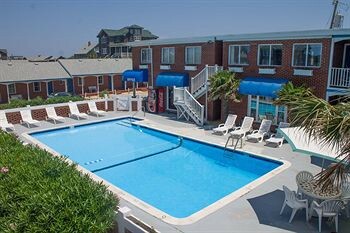 A hairdryer can also be found in each of the bathrooms.Sports/EntertainmentThe motel offers an outdoor pool. Leisure options available to guests include a gym (no extra charge).